You know the old adage of “the pen is mightier than the sword”? Well, with Italian luxury writing instrument maker Montegrappa’s new Limited Edition Samurai Fountain Pen, the sword may very well be mightier than the pen. 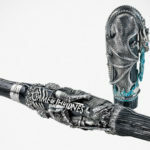 In case you did not get the picture, the pen is presented in an intricately crafted Japanese medieval warrior, Samurai. 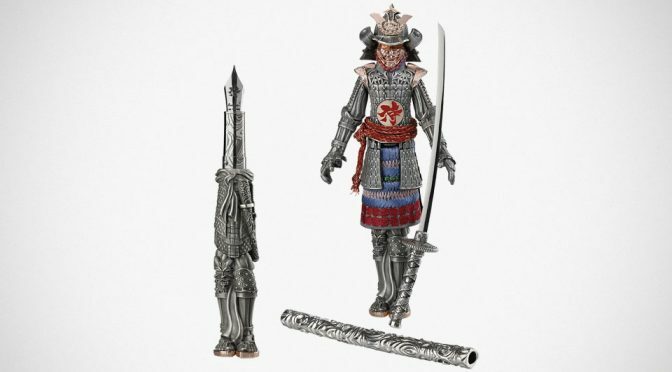 The pen is literally a Samurai figure in which the entire upper torso is the pen’s cap and pen body is the lower body and limbs. The ancient Japanese warrior is dressed in a suit of armor made using cutting-edge developments of the ancient lost-wax technique. 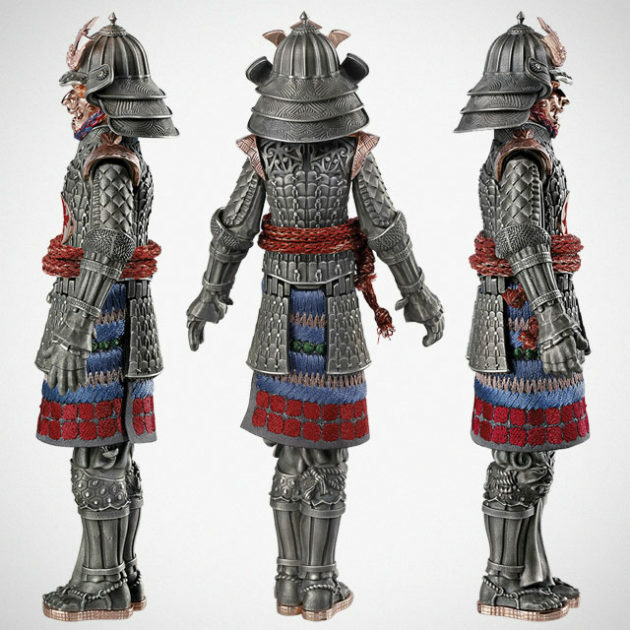 Its predominantly sterling silver body gets a few colorful bits like the red rope belt, yellow/green/brown accented purple tunic, and splashes of rose gold on the warrior’s mask, shoulder guard and on the helmet ornament. The overall result is quite a sight to behold. More so when you realize that this imposing Samurai figure is actually a fountain pen. Absolutely stunning. 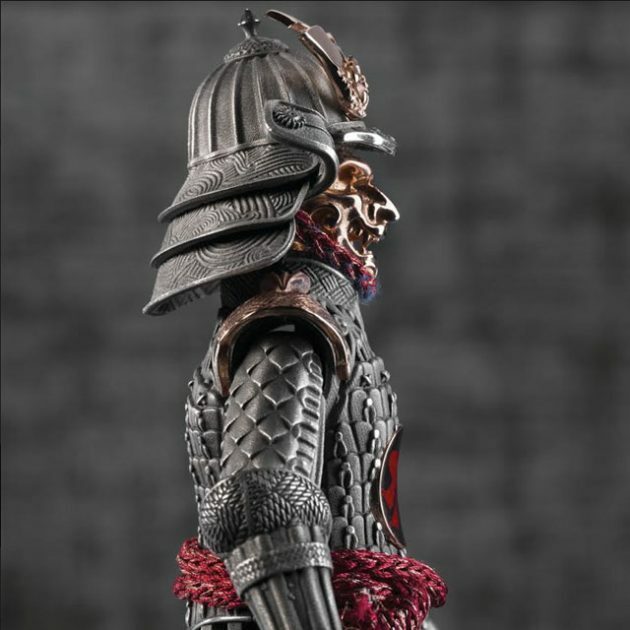 Other highlights include a 18K gold nib engraved with Samurai logo, a patented piston power push filling system, burnished sterling silver trim, Damascus steel grip, and articulated arms. 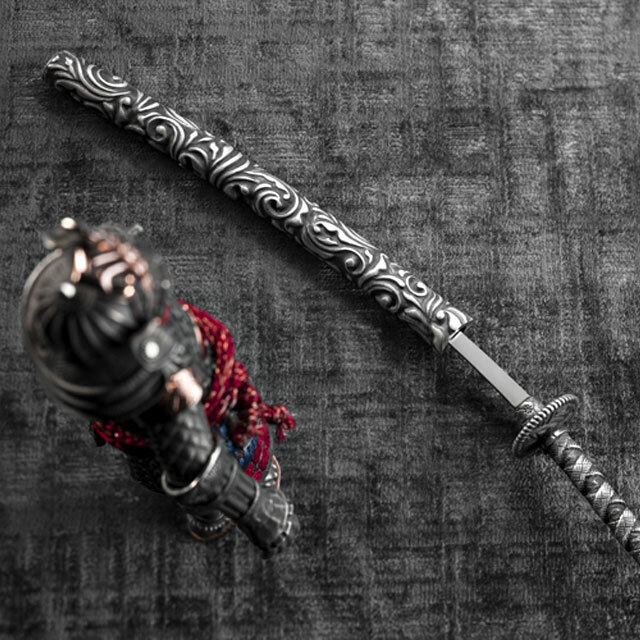 Each limited edition Samurai pen is accompanied by a katana-shaped letter opener with a sheath and sword holder to boot. 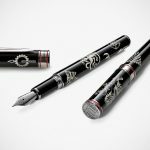 The Montegrappa Limited Edition Samurai Fountain Pen has a limited run of just 177 pieces in Sterling Silver and even lesser 7 examples in solid Gold. It can be yours to ‘just’ €12,000 (around US$13,900, or the price of a small car). But that’s for the sterling silver. We have no idea how much the solid Gold variety is going for. I would imagine it going for a lot more. Then again, I could be wrong. If you are outside of Europe, you can’t purchase in online. 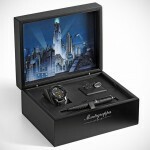 You will have to find yourself a Montegrappa retailer somehow. 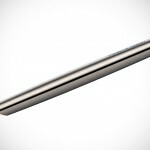 As for those resenting in Europe, you are welcome pick it up from Montegrappa web shop.